The ecological concept of resilience has become a centerpiece of conservation efforts globally. Resilience generally refers to the capacity of an ecosystem to resist disturbances and recover quickly thereafter. Ecosystems have always experienced natural disturbances, and these are often important in ways you might not expect: forest fires, for example, can renew the ecosystem by clearing out dead vegetation and freeing up nutrients that were locked away in the old plant matter. Some plant species have even evolved to release their seeds in the presence of fire or smoke in order to take advantage of the newly available soil space. Problems arise, however, when disturbance is a result of human activity. Human-induced disturbances are typically more intense, larger in scale, and more frequent than natural disturbances, often causing damage beyond what the ecosystem can cope with. In other words: human impacts have a big effect on the ecosystem’s resilience, or its ability to resist and recover. Fig. 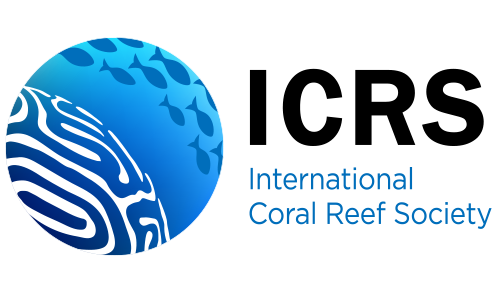 1 A 2017 United Nations guide for conservation organizations and other coral reef managers focused on the concept of reef resilience. Beyond changes in the overall “quality” of the reef system, this reduced recovery rate means that reefs are increasingly facing the next wave of disturbance before they’ve really begun to recover from the last one. The resulting cumulative degradation is proving to be more than even the slow-growing thermotolerant species can withstand. In a study across 81 reefs on Australia’s Great Barrier Reef over 19 years, Ortiz et al. (2018) detected substantial reductions in recovery rates across six coral taxa, including within Porites and other more thermotolerant groups.5 These reductions were attributed to a combination of chronic and acute stressors that together undermined both the resistance and recovery of the reefs. So if a reef’s capacity for resilience is itself impacted by disturbance, what does resilience-based management look like? Despite the challenges of aiming for a moving target, the increasing attention to the importance of resilience is a good start. For the Great Barrier Reef corals, Ortiz et al. (2018) determined that a swift and thorough amelioration of stressors like poor water quality could enable a quick rebound of recovery rates. These efforts can also bolster resistance, given that local disturbance increases susceptibility to global thermal stress (Wooldridge & Done 2009).6 Furthermore, while marine protected areas can do little to increase reef resistance to disturbance, continued efforts to strategically expand them may successfully support recovery in a number of ways, as noted by Côté & Darling (2010).7 Yet the main takeaway from the combination of reduced recovery and impaired resistance is sobering: resilience-based management can only do so much in the face of rapid climate change. The human-induced disturbances on coral reefs are simply more intense, larger in scale, and more frequent than the natural disturbances that reefs evolved to withstand. Even the most stress-tolerant corals are likely to experience conditions exceeding their limits in the coming decades. Accordingly, managing for reef resilience into the next century will only be as effective as our efforts to mitigate the biggest source of the disturbance: atmospheric CO2 emissions. Yadav, S., Alcoverro, T., & Arthur, R. (2018). Coral reefs respond to repeated ENSO events with increasing resistance but reduced recovery capacities in the Lakshadweep archipelago. Coral Reefs, 1-13. Cai, W., Borlace, S., Lengaigne, M., Van Rensch, P., Collins, M., Vecchi, G., … & England, M. H. (2014). Increasing frequency of extreme El Niño events due to greenhouse warming. Nature climate change, 4(2), 111. Wang, G., Cai, W., Gan, B., Wu, L., Santoso, A., Lin, X., … & McPhaden, M. J. (2017). Continued increase of extreme El Niño frequency long after 1.5° C warming stabilization. Nature Climate Change, 7(8), 568. Alvarez-Filip, L., Carricart-Ganivet, J. P., Horta-Puga, G., & Iglesias-Prieto, R. (2013). Shifts in coral-assemblage composition do not ensure persistence of reef functionality. Scientific reports, 3, 3486. Ortiz, J. C., Wolff, N. H., Anthony, K. R., Devlin, M., Lewis, S., & Mumby, P. J. (2018). Impaired recovery of the Great Barrier Reef under cumulative stress. Science advances, 4(7), eaar6127. Wooldridge, S. A., & Done, T. J. (2009). Improved water quality can ameliorate effects of climate change on corals. Ecological Applications, 19(6), 1492-1499. Côté, I. M., & Darling, E. S. (2010). Rethinking ecosystem resilience in the face of climate change. PLoS biology, 8(7), e1000438.